Our professional programs help executives and industry leaders learn about the latest trends in technology innovation and how to make their companies more innovative. Join us for our programs in Silicon Valley and at UC Berkeley to grow your entrepreneurial skills and mindset and help take your company to a new level. This program builds on the core skills of technical managers, engineers, and scientists. It is focused on technology firm situations and is condensed into only 4 1/2 months. The ELPP program offers career building skills that solve real problems in technology firms specifically for engineering directors, lead architects, technical product managers, business development leads, CTO office members, and other key technical staff. This program guides leaders to transform their organizations with new insights on strategy, disruptive technologies and creating innovative cultures. Responsible for leading your company's innovation? Interested in understanding disruptive technologies from the leaders? Help your company advance with new strategies, technologies, and a transformative framework now. 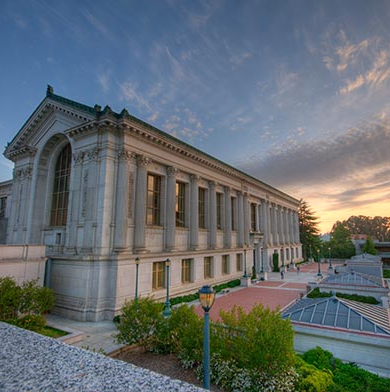 Emerging Technology Fellows are world-class leaders who visit Berkeley to work on complex leadership challenges, research, and new technologies. We focus on the "Future of X". For us, 'X' means new technologies, societal problems, and emerging industry areas that will change the world. Our labs are at the most applied edge of the spectrum of all university research. Our labs contribute pure research, but their main focus is to build teams of diverse experts from students, researchers, industry experts, and investors to produce teams that develop publications, new technologies, business models, new ventures, and social impact. Results from our labs inform and support the SCET's undergraduate, graduate, professional, and executive courses and programs. Contact the Center's leadership to learn more. These programs can be conducted at your location for 30 to 100 participants with the Center's Berkeley Certificate. Contact Jocelyn Weber (Director of Executive and Professional Programs) at jweberphipps@berkeley.edu or Ikhlaq Sidhu (Faculty Director & Chief Scientist) at sidhu@berkeley.edu for more information about executive programs and X-Labs.